How can you move beyond the “data dump” and say something that moves others? How can you speak with true conviction in a world where delivering the corporate message is expected? How can you find your authentic voice and presence to unlock your true leadership potential? In the Inspire Podcast Bart Egnal helps you understand how to communicate as a leader in everything from conversations to presentations to email. You will hear Bart interview leaders who have consciously developed their ideas and used them to drive change, and you will hear from leadership communication professionals who help Fortune 500 executives build their own skills. Ever wondered how a vision statement can help direct your personal or organizational success? In this episode Bart interviews Robin Silvester, President and CEO of the Vancouver Fraser Port Authority, to discuss the organization’s vision to be the world’s most sustainable port. Throughout the conversation you’ll hear tips on how to craft your own vision statement, and how you can structure your day-to-day operations to ensure its success. 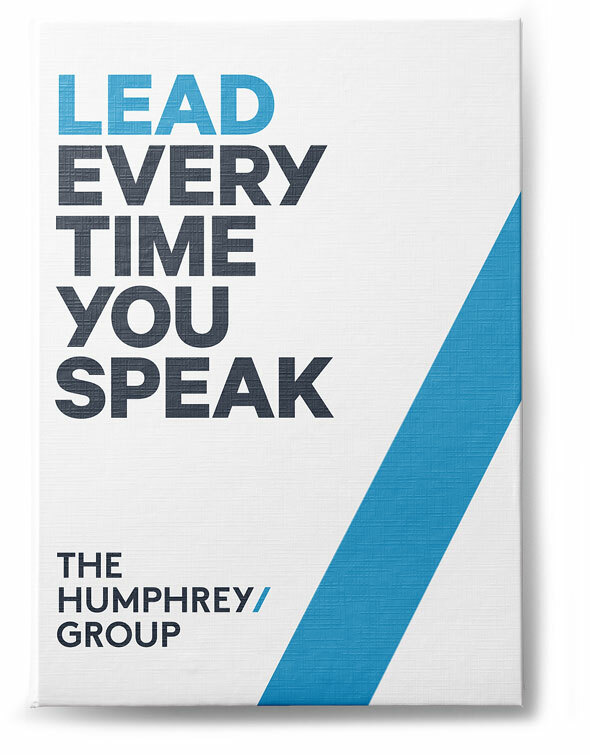 The Humphrey Group teaches communication skills exclusively through the lens of leadership. And we teach leadership – specifically as it can be demonstrated through communication. Imagine if you could lead every time you speak. The Humphrey Group’s mission is to help you do just that. We’ve been pursuing this mission since our establishment in 1988. 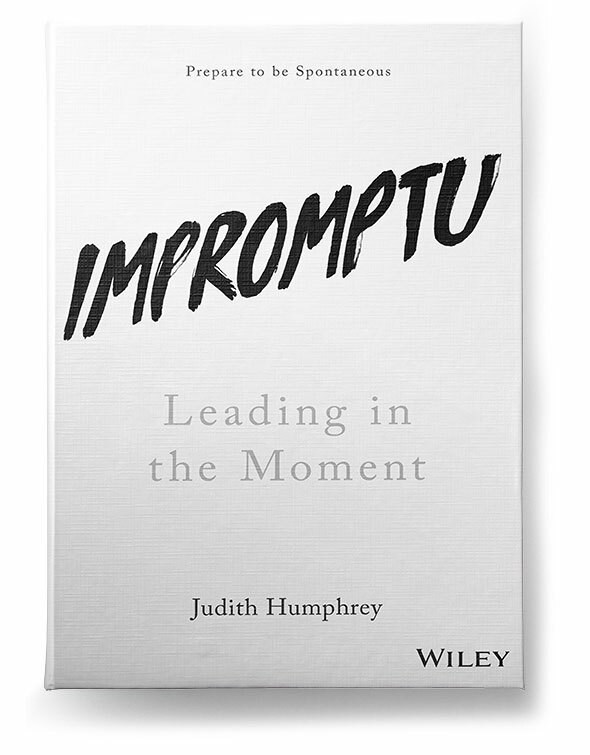 Announcing Judith Humphrey's new book, Impromptu: Leading in the Moment. Follow us on LinkedIn for news about upcoming programs, new intellectual capital, and other developments. © 2016 The Humphrey Group Inc. All rights reserved.